Eyekon Group offers event display options to fit nearly every need, so browse our products for the best buy in economy and quality. But if you need more, Eyekon is a Group of experienced trade show marketing associates who go beyond the sale of event displays. If you don’t have a trade show manager or if you are a manager needing an extra hand, Eyekon Group will serve as your trade show assistant, starting with your message strategy, then moving to display design, graphic applications and at-show execution. Start by reviewing our web site for innovative ideas and best practices in executing a successful trade show event. Email us or call to discuss your product or service, your goals and timeframe. We will go from there to deliver an effective message to inform and influence your target market and achieve your marketing objectives. While trade show marketing has become more cost effective, business managers have less time to devote to this singular event. As important as your trade show marketing is to your bottom line, unless you’re a large integrated company, you probably can’t afford to give up valuable time to planning & executing a single event while executing your day to day management responsibilities, yet, you can’t afford to go it alone, unprepared for a successful return on your investment. The Crash Course author literally wrote the book on display design ideas. And has been engaged in the advertising and trade show industry for more than 30 years. He has managed exhibit marketing programs and authored numerous “Ideas On Display” promotional guides to display design, production and graphics. The Eyekon Group goes beyond the services of the normal exhibit house to provide a turn-key resource for successful trade show and experiential marketing execution. The Eyekon Group was rooted in the advertising agency business before morphing into a trade show marketing company more than 30 years ago. 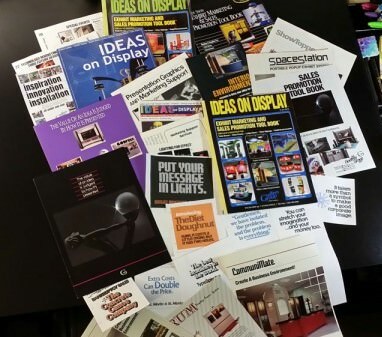 We literally wrote the book on display ideas. As pioneers in contemporary trade show marketing, we have designed, engineered, developed, patented and produced many innovations in portable and custom exhibit applications, including a recent, award-winning, eco-friendly modular display system for sustainable marketing practices. Think of us as your ad agency with years of exhibit marketing experience. We have many “Best of Show” awards to demonstrate our innovative approach.We have worked with CEOs, CFOs, tradeshow managers and ad agencies, helping them avoid many of the pitfalls and minefields in trade show marketing. Our recommendations are based on our many years of experience in developing and integrating media technologies and construction methods. We have experience in selecting the most effective delivery technique to best present your message. We bring to your exhibit project specialists who fit the technical level & sophistication of your specific project. We draw from our years of experience and the many resources developed along the way.Our group will take your project from any stage. After reviewing our 30-Minute primer on best trade show practices, go to our Best-of-the-Best presentation products section of this web site. Compare our free design and product recommendations for your display hardware and graphics so that you can move with confidence to manage your campaign. Or, you can engage the Eyekon Group to complete the process of message development, fabrication, graphics production and delivery. We can supply one link in the chain or we can supply the complete chain. 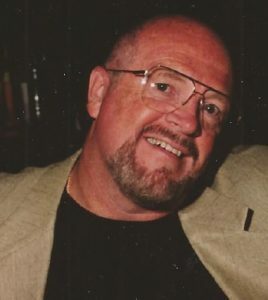 H. Glenn Godfrey, CEO, Eyekon Group, wrote numerous books and articles for “Ideas on display”. The Eyekon Group has its’ roots in the advertising agency business before morphing into a trade show display company based on the needs of agency clients..